I was pleased to discover that an essay of mine (“The Poet’s Audience: Part Two”) was posted on WordPress Reader (between an article on Patti Smith’s memoir, Just Kids, adapted by Showtime–about her relationship with artist Robert Mapplethorpe–and the “playful foreignisation” of Peter Manson’s English in Mallarme), along with a photo of the first reading I gave in Monterey (when we returned to California and I published the book Pacific Grove in 1974). Consequently, I seem to have gathered some “traffic” for my blog (71 “views” between August 24 and August 31, from the U.S., United Kingdom, Japan, Netherlands, France, New Zealand, Botswana, and Germany). Thanks everyone! 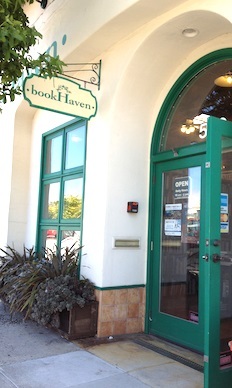 I don’t know how many people might be able to make the trek from New Zealand or Botswana, but on Sunday, September 13 (2:00 PM), I will be giving a reading from Gypsy Wisdom: New and Selected Poems at Old Capitol Books in Monterey (559 Tyler Street). I will be reading with an excellent poet from Santa Cruz, California with whom I’ve had the pleasure to read before: Maggie Paul. Maggie is the author of Borrowed World, a collection of poems published by Hummingbird Press, and the chapbook Stones from the Basket of Others (Black Dirt Press). She earned an MA at Tufts University and her MFA at Vermont College. 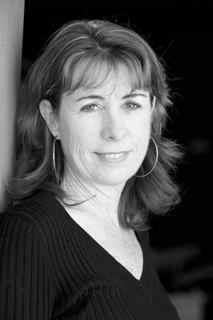 At present, she teaches writing at Cabrillo College and works as an educational consultant. 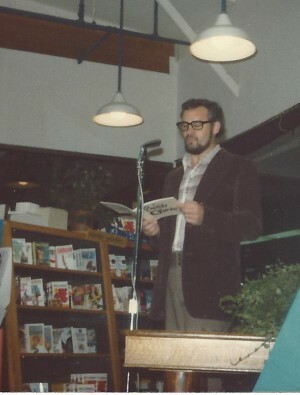 William Minor communicates. 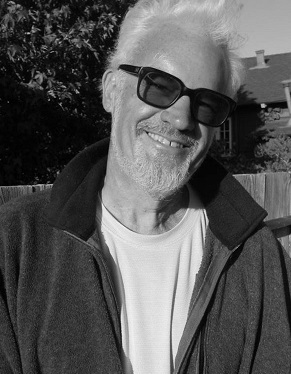 Poet, journalist, painter, musician, composer, translator, producer, teacher and performer, he shares his deeply lived life through all of these mediums. He wears each comfortably, letting the extraordinary experiences and earned insights be the events they are without the ego assumptions many artists need to sustain themselves … The latest in a long line of my favorite works by William Minor (Love Letters of Lynchburg, Unzipped Souls, Some Grand Dust, Monterey Jazz Festival; Forty Legendary Years), GYPSY WISDOM reflects William Minor’s thoughts as he takes his place as senior member of Monterey’s corps of great artists. ‘No, never was I anyone’s contemporary . . .
contemplate the slow creaking trek of time. But what of it? We cannot invent a substitute era. I will do my best, on September 13, to make that voice as pleasant as possible—accompanying myself on my faithful Yamaha, and reading other pieces from Gypsy Wisdom: New & Selected Poems. 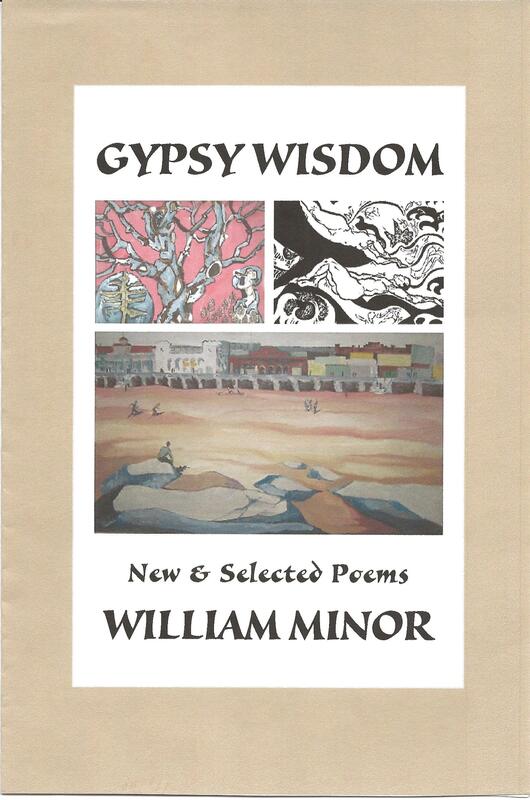 The book can be found for sale at: amazon.com (http://www.amazon.com/Gypsy-Wisdom-New-Selected Poems/dp/1935530976/ref=sr_1_1?s=books&ie=UTF8&qid=1438124136&sr=1-1&keywords=gypsy+wisdom+new+%26+selected+poems+by+william+minor) –and also, locally, at Old Capitol Books and at the Gift Shop in the Museum of Monterey (5 Custom House Plaza, next to the wharf). 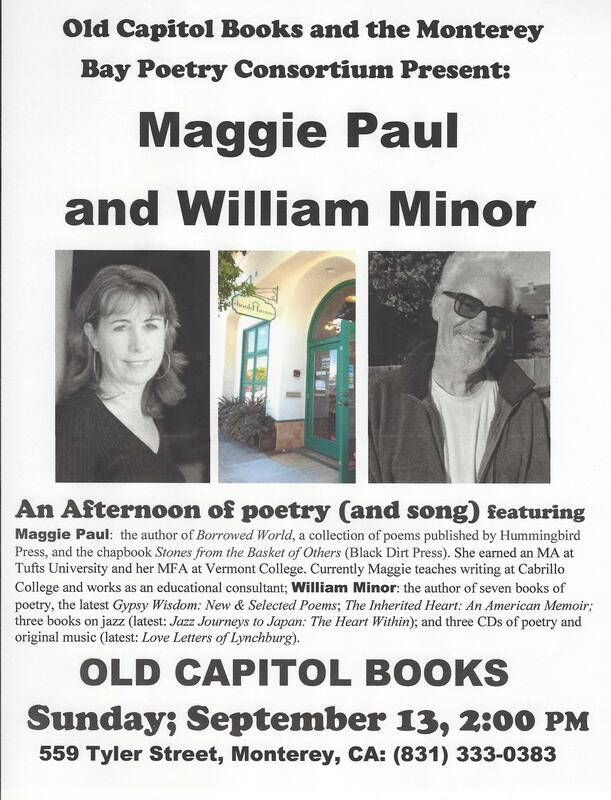 It will be wonderful giving a reading in the company of Maggie Paul again, so I hope that those of you who can make it will come hear us at Old Capitol Books. Just to flesh out the invitation I will include, here: the cover of Gypsy Wisdom, the flyer I sent out for the event, and a repeat of the (distant in time) photo taken in 1974.